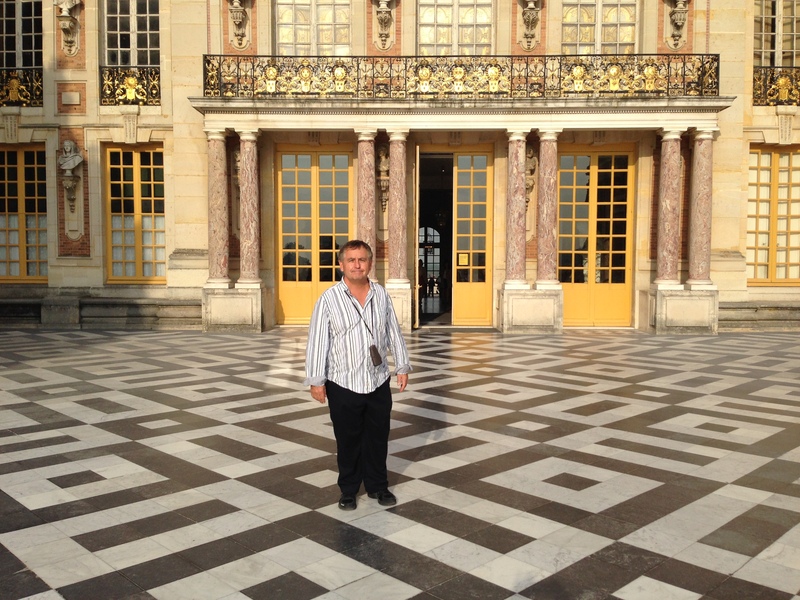 Today we took a 20 minute train ride to the opulent and vast Versaille Chateau and grounds. I had a moment of panic when I couldn’t find the tickets we bought yesterday so we wouldn’t have to stand in a long line. Luckily, I found them in the garbage where I had thrown them in a purse-cleaning frenzy. We knew we would see a splendid chateau, and we were not disappointed. 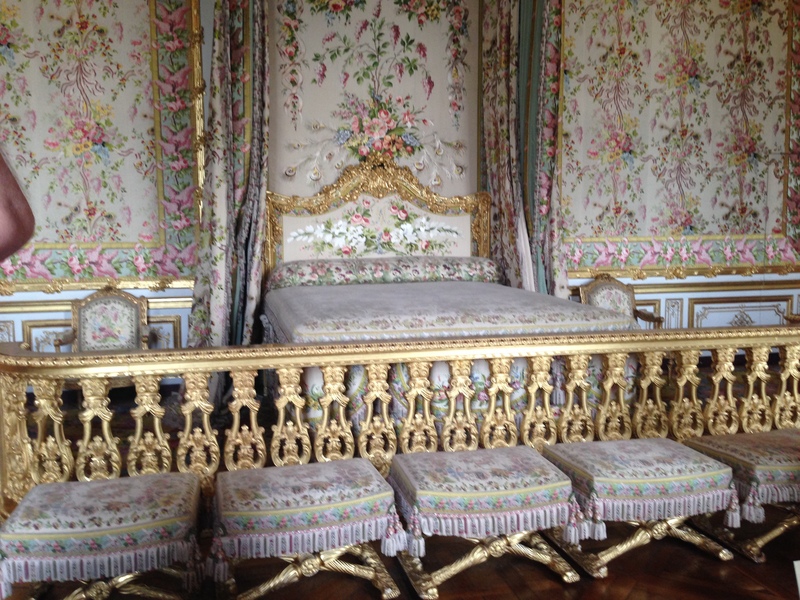 Lavishly decorated rooms, huge crystal chandeliers, gold leaf and large art was everywhere. I thought of how Louis XVI and Marie-Antoinette were living in lavish luxury one day and a few years later were imprisoned and sent to the guillotine. Marie-Antoinette wanted a place to experience the “simple life”, so she built her own village of buildings, gardens and animals. Vegetable gardens adjoin each of the houses and chickens, ducks, geese, rabbits and goats are on the farm area. 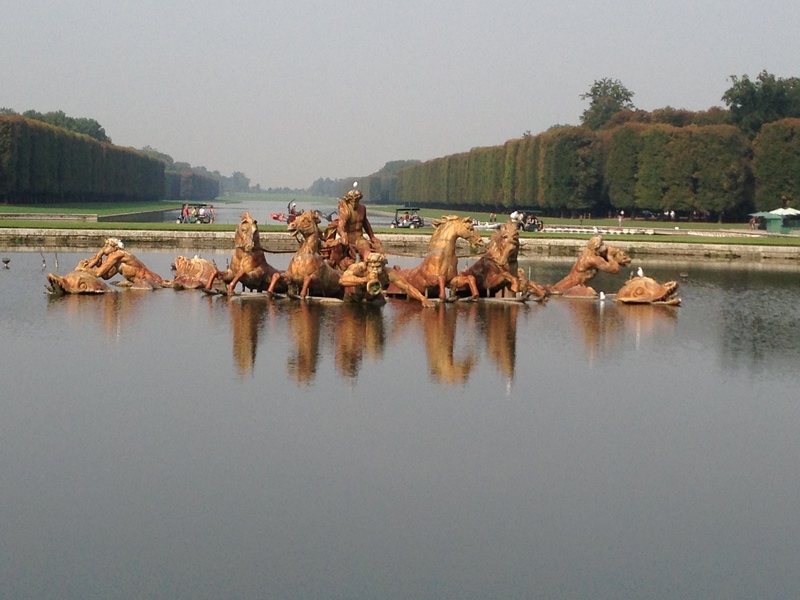 Beautiful buildings, sculptures and fountains are located all over the large estate. We have been so lucky in avoiding the crowds. Versailles is reputed to be one of the most crowded tourist destinations in France with long lines, but by following Rick Steves’ advice we didn’t have any problems with lines or crowds. 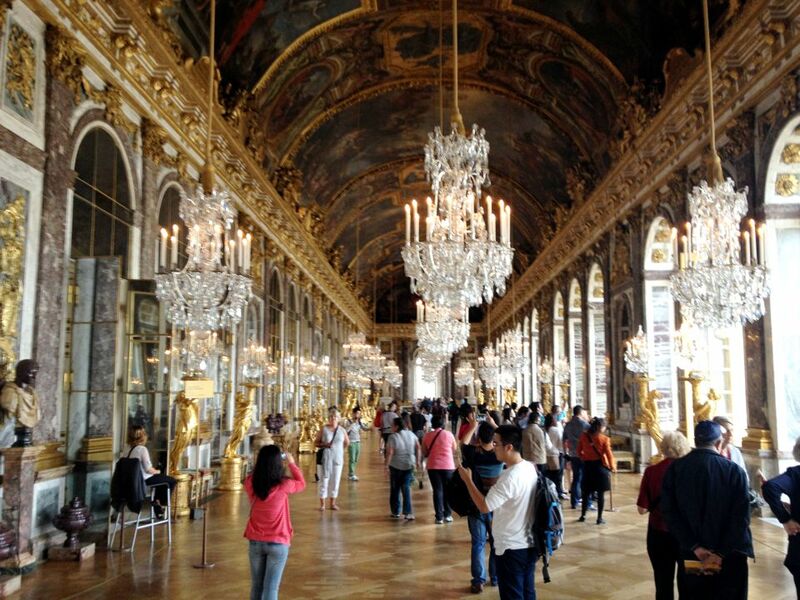 Even the famous Hall of Mirrors was not too congested. What surprised us most was the beauty and size of the grounds. It was a gorgeous day, and we spent more time walking the beautiful grounds than we did in the Chateau and other buildings. 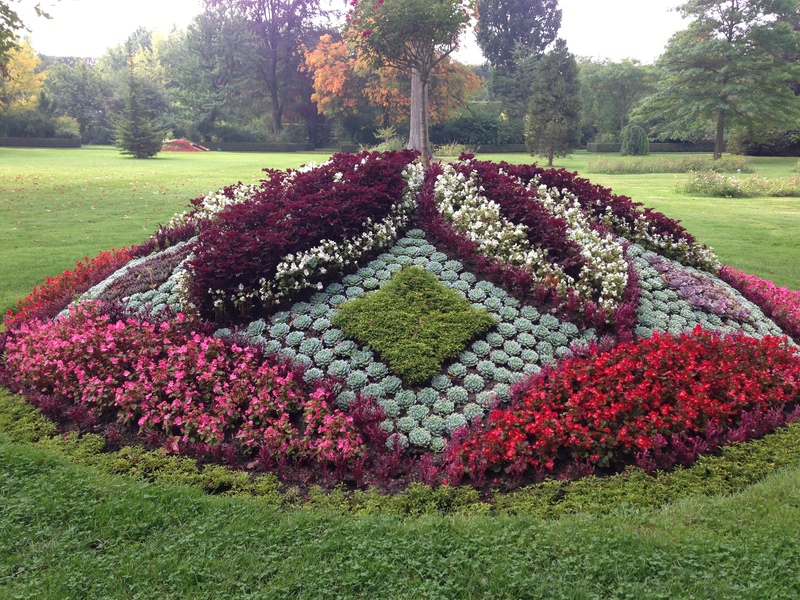 Except on special days, the gardens are free, and we saw many people enjoying the gardens-picnicking, biking, walking, running and rowing on the Grand Canal. 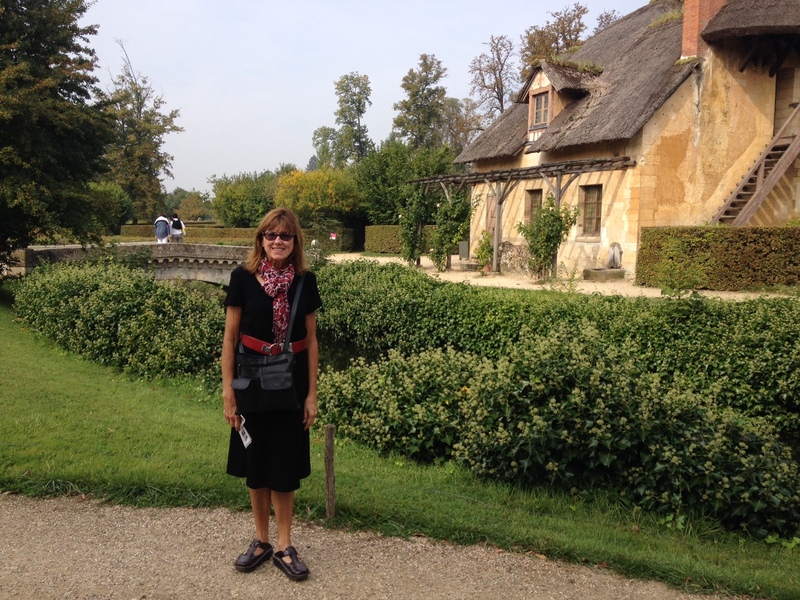 This entry was posted in Paris 2013 on September 26, 2013 by debbie.